Every business decision and opportunity you encounter boil down to whether the outcome will help your company or not. As a small business owner of a plumbing company, you often look at these decisions more critically than a franchise business or large company would. You must analyze every purchase you make or service you offer to ensure it will help you grow your business, not keep it stagnant or hurt it. Every business owner has their own keys to success or tried and true tricks to make their company grow, but almost every owner will agree that running an efficient company forms the backbone of their success. Many routes lead to improved efficiency, but field service software has proven itself time and time again as most cost-effective way to streamline business processes for an efficient, profitable company. Field service software integrates with every facet of your plumbing business to truly help it grow. QuickBooks from Intuit boasts an 80% market share when it comes to business owners, with more than 4.6 million customers on the software globally. Chances are, you use QuickBooks too. Think about how much easier the daily tasks in your company would become with a field service software program that seamlessly integrates with the software you already use. When you add plumbing field service software to your QuickBooks, you can schedule and dispatch jobs straight to your plumbers’ mobile devices. The QuickBooks integration allows your technicians to see not only job information, but customer and equipment information, line items, and other historical data that your business manages with QuickBooks. After your plumbers finish their job, they file their paperwork electronically, where it immediately posts to QuickBooks. QuickBooks integration with plumbing software represents one of the easiest ways to streamline your business processes so you no longer need to manually populate work order information. This allows your technicians full access to client history on the job, so they won’t need to worry about contacting the office for customer information, additional requests, or adding line items. Sometimes you have to spend money to save money, and that’s the case with field service software. Depending on the software you choose, you will either pay a one-time fee to own your software, like with the plumbing software offered by Smart Service, or pay a recurring fee for a subscription. While software with an upfront cost can save you more money over time, both will save your company money by streamlining your company’s processes. You may think by not spending money on expensive plumber software, you save on a luxurious extravagance. You may think sticking to traditional methods of conducting business (such as using paper invoices and hand drawing routes) saves money. This is not the case. In the field service industry, technicians incur an average of $337 in printing costs annually. 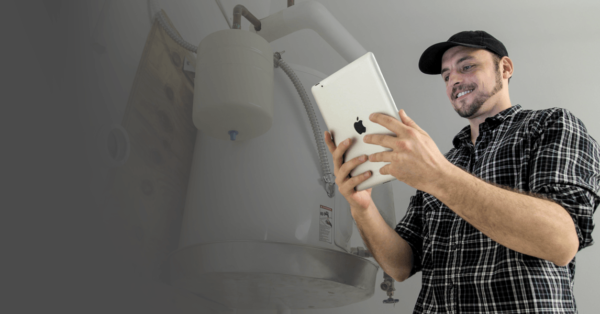 For a plumbing company with 20-30 workers, upgrading your company with paperless field service software can save up to $10,000 a year. That’s a huge savings, but it doesn’t even get at the whole picture. Think about the other costs associated with all that printing. Maintenance fees for printers, scanners, and fax machines, the cost of filing cabinets… these things also cost money! You can eliminate or significantly reduce these expenses by using field management software. And the cost savings don’t stop there. Plumbing business software can significantly reduce technicians’ time expenditures by streamlining all company processes. Certain field service software systems (such as iFleet) can save your technicians roughly 105 minutes of unnecessary administrative work every day. Plumbing techs can clock in at home and leave straight from their house to go to their first job. This saves the average technician 10 minutes a day, spending less time in traffic and taking a little extra driving out of the equation. Plumbing software can create optimized service routes, saving both driving time and gas. Because most companies use GPS, this can save as little as 5 minutes a day, or as much as 30. Inventory tracking capabilities prevent your plumbers from forgetting to bring the right parts, equipment, and tools to get the job done, saving them roughly 30 minutes a day in potential trips back to the office to pick up the right tools. Plumbing software keeps all necessary customer and company data in one place, letting your technicians save at least 10 minutes a day avoiding calls back to the office concerning this information. Paperwork can be one of the most time-consuming parts of a technician’s job, but with plumber software, your technicians can easily save 15 minutes or more. Forms automatically populate with information from your company records, so technicians have less to fill out. Paperwork automatically gets filed electronically upon completion. These represent conservative estimates of field service software ROI. Time savings will vary depending on your company’s processes and size, but at the very least, your technicians can save 8.75 hours or about $175 a week. 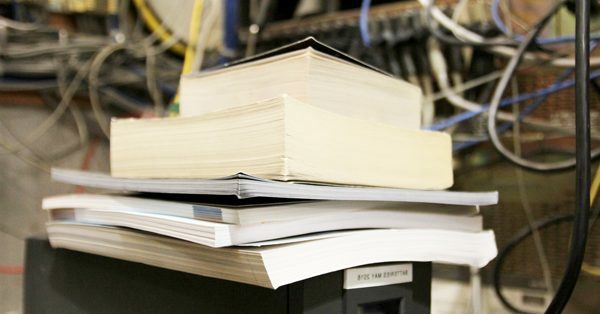 Add that in with cost savings from printing and paper costs, and your company can save over $9,000/year per technician. For a company of 20 technicians, that’s $180,000 a year your company can reinvest in other areas. When it comes to saving money, cutting down on the amount of overhead your company has serves as one of the easiest ways to reduce costs, letting you spend more on marketing and other areas that provide a real return on investment. Reducing costs associated with bookkeeping comes to the same thing. If you experience a problem with your plumbing software, you can’t afford to hire a software expert to debug the program and figure out why it happened. Your technicians can’t wait around for the fix. They need to know where they need to go next. That’s why many plumbing software companies offer a wide variety of support resources to ensure that you can keep your dispatch software running smoothly without the need for expensive computer support technicians. Free plumbing software solutions simply don’t offer the customer support that Smart Service does. The Smart Service support plan grants you unlimited use of the Help Desk, which is available from 8:30 AM to 5:30 PM EST every Monday through Friday. Plumbing software helps your technicians know the customer’s history with your company as soon as they get to the job site. That means determining what has been checked, replaced, or worked on in the past to minimize diagnostic time to solve a problem. Does your customer claim that your company already came out to deal with a certain issue? Verify your customer’s information to double check. 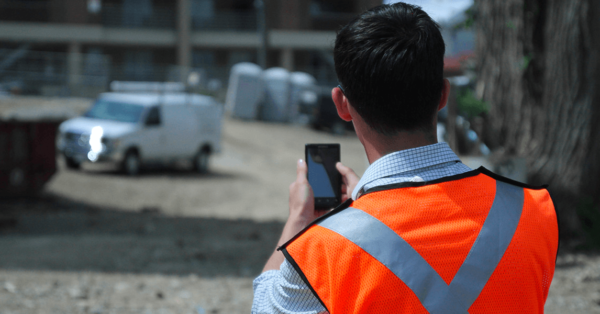 Keeping accurate records accessible from a mobile phone or tablet on the job-site can help establish a better relationship with your customer. With the time that your technicians will save, workers can better explain the repairs your customers need in depth, answering questions and establishing further trust. Home and business owners remember the technician’s professionalism above all other factors, so this helps foster repeat business. Additionally, dispatchers have access to this information to see which technicians visited a location or customer previously. Based on the customer feedback you receive, they can then decide to dispatch the same technician or opt to try a different one. With all of the previously discussed improvements in workflow to save time and money, every employee in your business can work more effectively. The expected additional influx of money into your reserves means that as a business owner, you will have more flexibility when it comes to trying new marketing tactics. Building the business means more than just marketing to new customers and businesses. Finding ways to diversify your business can mean more economic security in the long run. If you operate a residential plumbing company, expanding your offerings into residential fire extinguishing systems, offering CCTV inspections, or septic pumping can help generate business opportunities in slow seasons. Alternatively, thinking of ways to make your business capitalize on what economists call “vertical integration,” is a great way to lower costs. Vertical integration consists of expanding your business to include all parts of the supply chain. While this may not be feasible for many plumbing businesses, improving the cost of sourcing parts, especially if you can add your brand name to it, can help in reduce your bottom line. Buying parts for plumbing installations can raise expenses after suppliers take their markup. If you become the supplier of even simple plumbing equipment, you can absorb that markup and charge the same, fair, market-rate amount to your customer, which makes each job more profitable. An even more potentially profitable approach involves expanding your business into other markets. If you have found success in your market, consider expanding your brand. Large companies like Roto-rooter, 1-800-PLUMBER, and Mr. Rooter built their businesses into franchises. This has helped them expand into new markets. Using the franchise model for your plumbing business can lead to extreme profits. Using your branding and systems, entrepreneurs can start independently owned locations with franchise fees going directly to you, the business owner. This model has proven successful for many industries. However, if you spend too much time managing the inefficiencies of your business, you’ll have no time in the day left to consider ways you can expand your business’ profitability. Consider the improved workflows and saved time that plumbing software can afford you as a down payment on improving your bottom line. Making an investment in a plumbing software solution is exactly that, an investment. Unlike other plumbing and dispatch software providers out there, Smart Service charges a flat fee to own, saves you time and money, and provides top-tier technical support so you can start thinking about your business differently. Taking the first step on your path to greater efficiency can make for a scary step, but getting over that fear and committing to your own success can mean the difference between growing your plumbing business and letting it stagnate.